Located at the corner of Hopkins and Pearl Streets, this building was once known as the Pearl Street Neighborhood House. 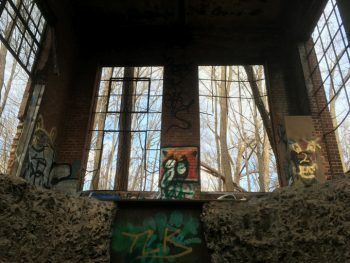 It served as a settlement house for Waterbury’s African American community, particularly migrants arriving from the South after the First World War. 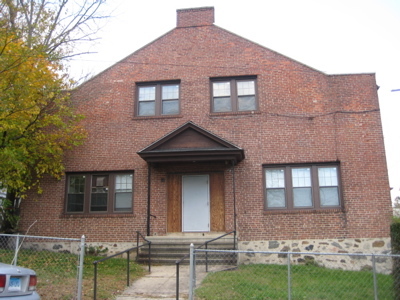 It continued to be a settlement house and community center from the 1920’s into the 1980’s and is now used for cultural events in conjunction with its owner, the Zion Baptist Church. The Waterbury NAACP was founded in this building in 1942, and it was once the home of the city’s Urban League. This place does actually have the Freedom Trail marker to the left of the door. I hate to say it, but if you ever find yourself here with a flat tire at night… good luck. This appeared to this out-of-towner to be located in the heart of the “Dirty Water,” as Waterbury is referred to on the local hip-hop station I listen to. But there seems to be some good work going on here, so that’s cool. Keep it up, Zion Baptist Church, keep it up. Waterbury needs you. Is the facility rent ready? The organization was not in this building for its entire lifespan. Sometime around the late 1970’s it moved about a mile away, into a better neighborhood, occupying a larger facility formerly occupied by a private school. If I recall correctly, the high costs associated with the relocation were a major factor behind the organization’s demise.